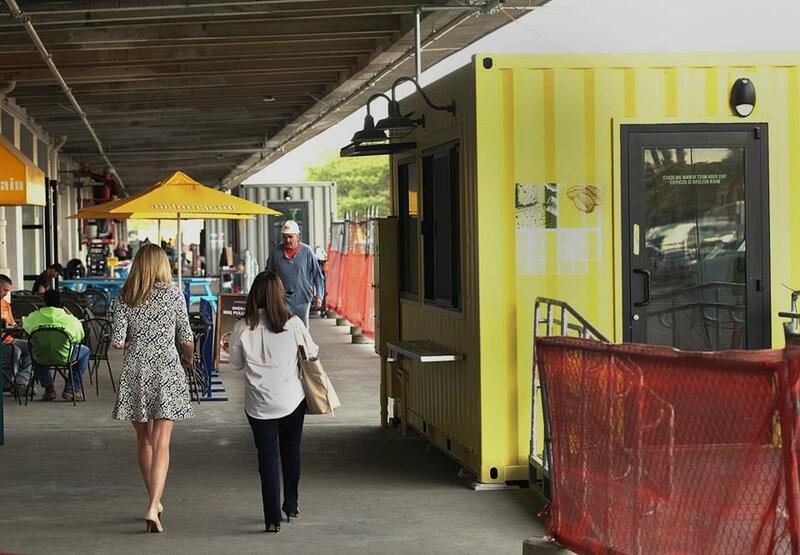 Jubali drinks will be sold from a shipping container at the Innovation and Design Building in the Seaport District. What happens when a handful of mostly local millennials decide to make good and make organic: an eco-aware, carbon-conscious, fast-growing company whose freshly pressed drinks hit just about every hip food fad — vegan, paleo, raw, local — while tasting good enough to get children to drink their beets. Though nearly as young as its executives (the eldest, president Liam Madden, is 31), Life Force Beverages has managed in less than three years to get its line of Jubali drinks into retail stores from Whole Foods to Roche Bros., as well as to a slew of farmers’ markets. In October, the company moves into a shipping container at the Innovation and Design Building in the Seaport District, along with Mei Mei by Design, Roxy’s Grilled Cheese & Burgers, Triangle Coffee, Yankee Lobster Co., Niche Urban Garden Supply, the hardware store Drydock Exchange, and the Cut-Splice hair salon. The Jubali line ranges from juices like Wise Apple with sage and ginger and Liquid Sun with carrots, turmeric, and oranges; to smoothies such as Carrot Cake (bananas, almond milk, carrots, cinnamon, ginger) and Protein Prana (almonds, bananas, hemp seeds, vanilla, rice protein, wildflower honey); to infusions like the Deep Mineral made with stinging nettles or the Herbal Joe coffee substitute with dandelion and chicory roots. The common ingredient is the organic herb blends that Madden hopes will be Jubali’s calling card and were inspired by his fiancee, herbalist Lauren Murphy. Most of Jubali’s partners met while they were students at Northeastern University, and gravitated together because of shared values and a campus group called Good Vibes, “which was a beacon for students who cared a lot about the environment and having a good time,” Madden says. “We cared about the same type of stuff.” Director of marketing Sam Freedman was a farmer before joining Jubali, and two other partners, Kyle Kornack and David Cooch, worked at the renewable energy business Next Step Living, located right next to the IDB promenade. 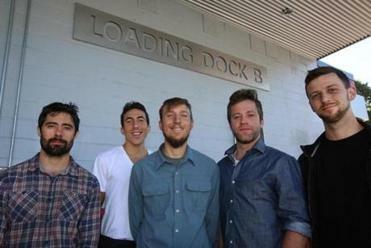 Life Force Beverages partners (from left): Liam Madden, Brian Axelrod, Sam Freedman, Kyle Kornack, and David Cooch. 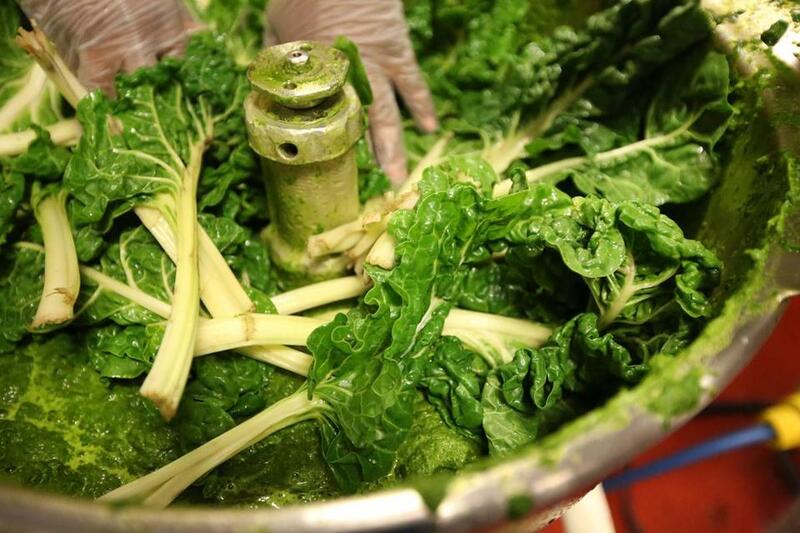 The idea for the business was formed by Madden and partner Brian Axelrod, who had been selling wheat-grass-based Green Force Juice out of a trike before Jubali got started. “I wanted something that could sell to stores and online, he wanted something to sell at farmers’ markets, and neither of us wanted to do it alone,” says Madden, who said he learned to love healthy smoothies during his time in the Marine Corps. Container life is a familiar environment for Madden, who lived in one in Iraq from 2004 to 2005 — although there, the view was of a latrine and here he’ll look out onto a small eating area dotted with trees. The company’s best-selling drink is the Lala Berry smoothie (Lala is Murphy’s nickname because “I don’t have a guitar, I can’t write a song for her,” Madden says). In turn, the name Jubali, a corruption of jubilee, was chosen “because it’s at once a celebration, a light, innocent-sounding word, but it’s also tied to transformation. It’s the time in biblical parlance when society forgives all debts and slaves are set free. We think this combination of lightness and something that’s radical is a perfect symbol for us,” Madden says. Needless to say, their expenses were small. Swiss chard to make Greenya Colada. Since then Life Force Beverages has grown quickly. Though the partners still don’t pay themselves much, all five are now full-time with Jubali, and the company has hired 20 employees, most of them in production. Drinks are made twice a week, and volume is up to about 32,000 bottles a month. Jubali’s motto is “Share the Health” and its farmers’ market manager, Brice Stockman, who says the company’s “like a juice pharmacy,” gets a special kick out of watching the stroller set enjoy a sample of the Beet Poet juice. He says an initial goal was to get its drinks into schools and hospitals “because they’re the people who need it most.” Life Force did make its way into Spaulding Rehab, but Madden says it wasn’t able to move into others because most hospitals budget only $2 per patient per meal and couldn’t afford their price point. Jubali drinks retail for $3.50 to $7 for a 12-ounce bottle, and while “we were willing to sell below retail, even below cost, it was still too much for them,” Madden says. Instead, new goals are to create a carbon-neutral business — “There should be an environmental equivalent to fair-trade products,” says Madden — and increasing public awareness of commonly found but rarely consumed healing plants, such as dandelions (said to be good for the liver), chaga mushrooms (immune system supporters), and vitamin-rich stinging nettles. “We stand by ‘Eat your weeds,’ ” says Freedman.